These are AMAZING! 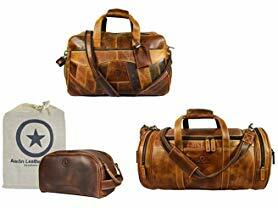 Today ONLY - Aaron Leather Bags and Accessories $25.99–$99.99. This Aaron Leather satchel is made from the finest hunter buffalo leather and is lined with high quality cotton lining. Whether you are a city dweller, on a casual business trip, or in college - this leather bag will be your best friend. Valid 2/12 or while supplies last.